City Councilor. Former Mayor. Class Mate of Donald McEachin and Kay Slaughter. Woodstock Veteran. 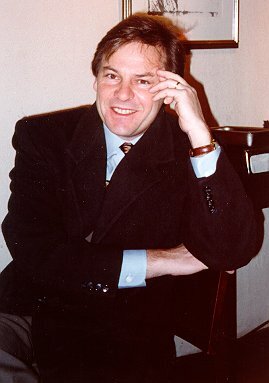 Democratic Candidate for Charlottesville City Council in 1998 (Picture of David Toscano taken at the Mud House in Charlottesville, Virginia, 1997). David and his wife, Nancy Tramontin, have adopted a new baby boy, born January 11, 1998. On January 12, 1998, David J. Toscano asked for support for the Democratic nomination and support for a third term on council. In a letter, he said, "I have stated publically that I do not favor reversion and that I support negotiation over costly litigation. But I also acknowledge that the problems which generated the reversion debate cannot be resolved without change, some of which can be controversial. To remain vital as a City, we must continue to grow our finances through economic development, increase our middle income housing stock, and build cooperative alliances with the county and the region." David mentions Piedmont Housing Alliance's Neighborhood Revitalization Project in Starr Hill as one of the initiatives City Council has taken to increase middle income homeownership opportunities. He also emphasizes a variety of neighborhood protection and preservation measures designed to increase the quality of life in residential neighborhoods. David has long been interested in the quality of life in neighborhoods as illustrated by his participation in the March Against Drug Use in 1992. 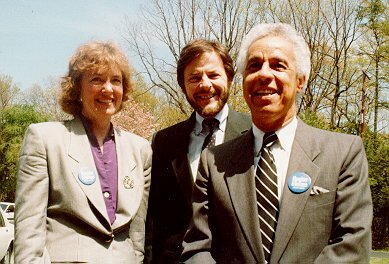 When David first ran for election to city council, he had a wonderful running mate in Kay Slaughter and stateside support from then Governor Doug Wilder. 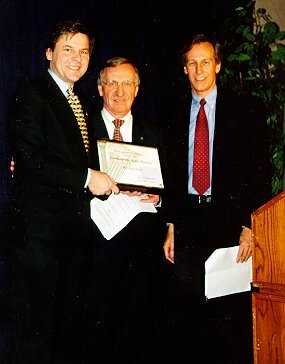 On March 7, 1998, David Toscano was honored as one of 22 Democrats selected by Congressional District Committees "in recognition of their achievements and their bright future as leaders of (the Virginia Democratic) party": Charlottesville's own "Rising Star."